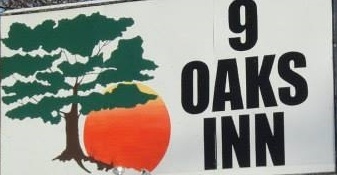 9 Oaks Inn is located 5 miles south of Grayling, 9 miles northwest of Roscommon and 4 miles from the north end of beautiful Higgins Lake, in a rural area of Crawford County. There are 8 updated rooms that are super clean with wi-fi and HBO television. In summer, an outdoor kitchen and grills are available for your use with a fire pit and wood available in our large backyard. In the winter, ride your snowmobile from your door with plenty of parking for your trailer. Sorry, no pets.